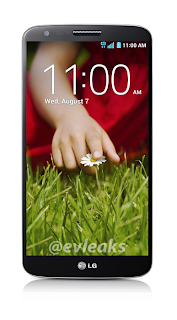 On the eve of the unveiling of LG's next flagship, the renowned Evan Blass of evleaks has yet another epic leak. 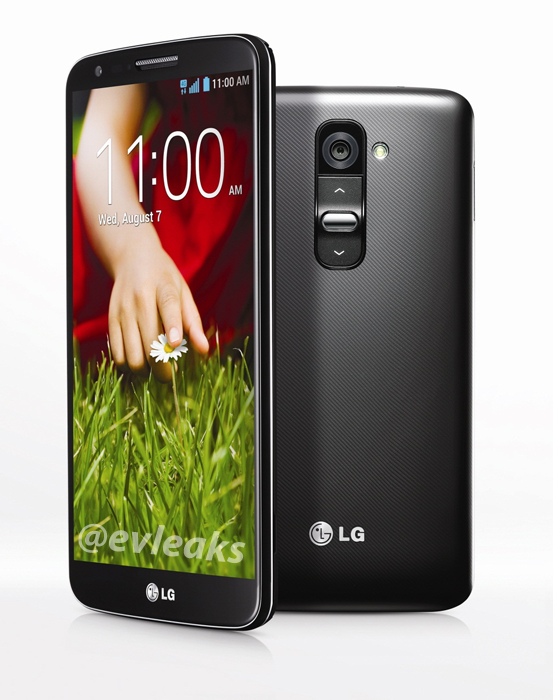 This time it's the full press images of the G2. Judging from the shots it looks like a total step away form the design of the Optimus G and looks to have more curves to it with a very impressing screen to bezel ratio. The G2 is expected to be rocking the ultra high end Snapdragon 800 Processor with Adreno 330 graphics, 2 GB of RAM, 32GB of storage, a 5.2-inch 1080p display, a 2600mAh battery and LTE capabilities. Also very interestingly is that the G2 is expected to come with Android 4.3 at launch which would be awesome to see. Overall the specs are cutting edge and we will only need to way about half a day before getting the full story on this exciting new flagship.